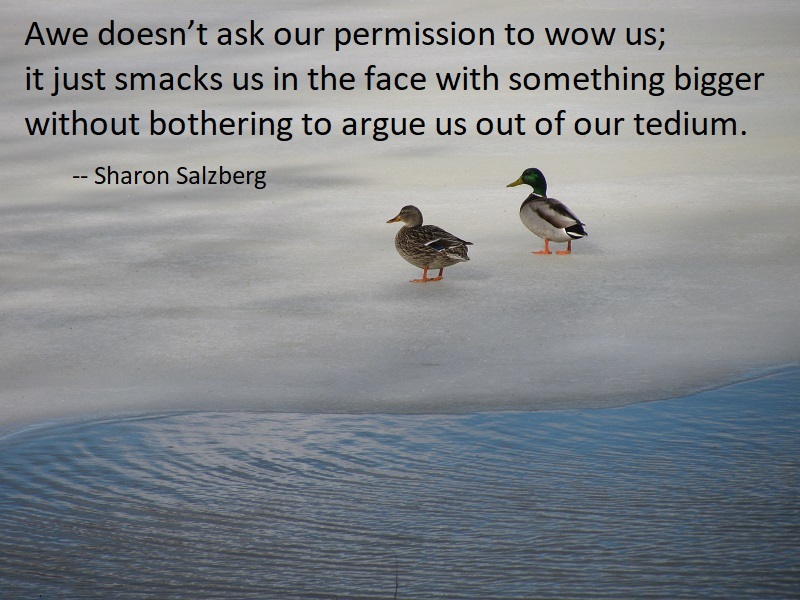 Awe doesn’t ask our permission to wow us; it just smacks us in the face with something bigger without bothering to argue us out of our tedium. Awe can come in a single glance, a beautiful sound, a heartfelt gesture. Think of how we can slog along in our little tunnel of daily life, back and forth, and then one day pass a lilac bush in bloom. The fragrance catches us first and then the beauty of the full blossoms. In pausing to appreciate it, we receive a reminder of the spectacular. Much like that, awe can bring this invigorating sense of novelty into everyday relationships that might otherwise feel stale or dull. 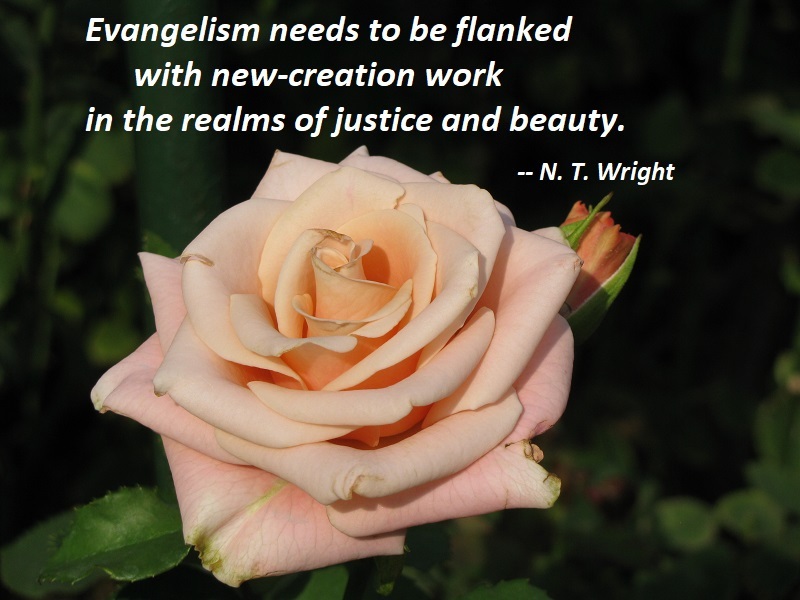 Evangelism needs to be flanked with new-creation work in the realms of justice and beauty. If we are talking about the victory over evil and the launch of new creation, it won’t make much sense unless we are working for those very things in the lives of the poorest of the poor. 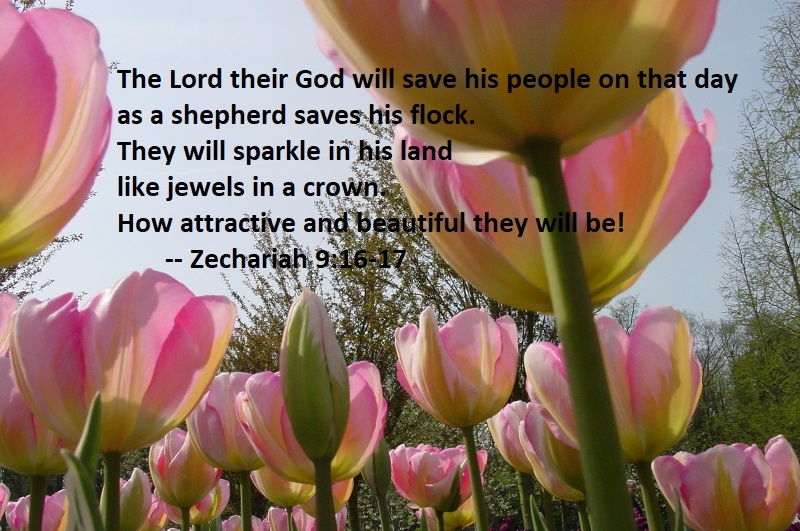 If we are talking about Jesus winning the victory over the dark powers and thereby starting the long-awaited revolution, it will be much easier for people to believe it if we are working to show what we mean in art and music, in song and story. Although we have an innate drive to create value, we have to make choices of who and what to value. A sunset has value if, and only if, you give it value — you invest energy and effort to fully perceive it, thus allowing you to appreciate it. 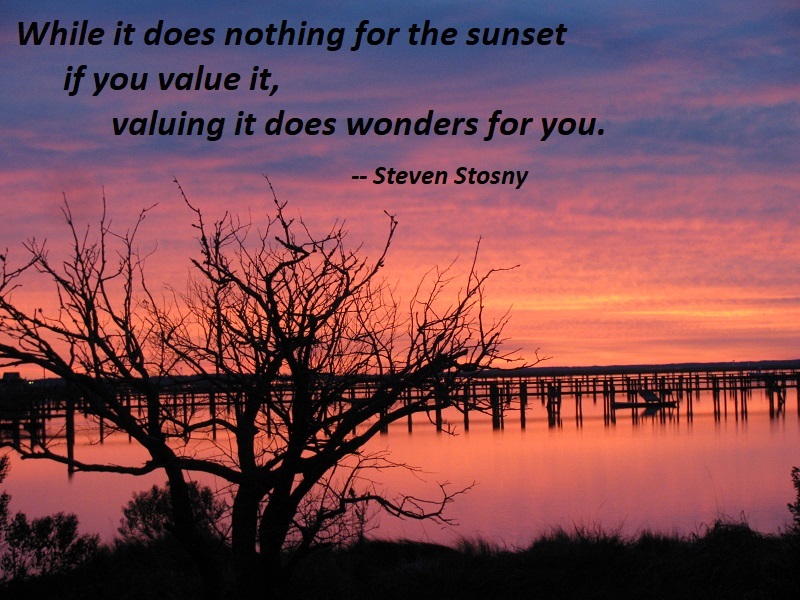 While it does nothing for the sunset if you value it, valuing it does wonders for you. The moment of value creation makes you feel more vital, engaged, interested, appreciative — in short, more alive. Life means more to you at the instant you create value, just as it means less to you when you are not creating value. Most positive emotion, passion, meaning, purpose, and conviction come from creating value, and most emptiness, aggression, and depression result from failure to create value. 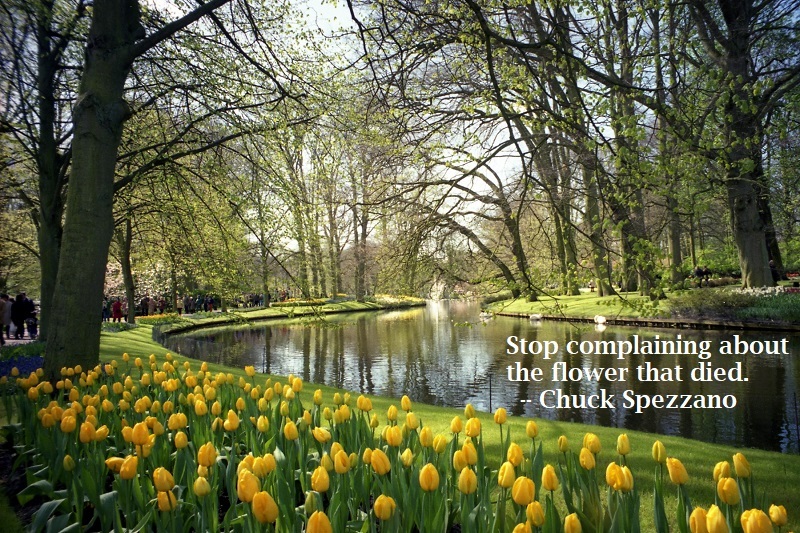 Stop complaining about the flower that died. You are walking in the garden. Just raise your perspective, and see how much beauty and fragrance is all around you. — Madeleine L’Engle, Walking on Water, p. 122, quoted in Madeleine L’Engle, Herself, compiled by Carole F. Chase, p. 123. Try to practice enjoying and seeing the beauty in the things that are around you. Practice doing it for a few minutes at a time until you get into the habit of it. Take a walk, for example — it could be in a busy built-up city. 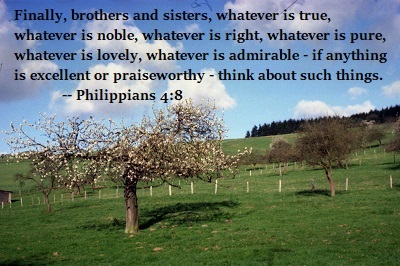 Take the time to notice what is around you. There is always beauty around us. We just don’t always notice it, and we frequently don’t think it is important. 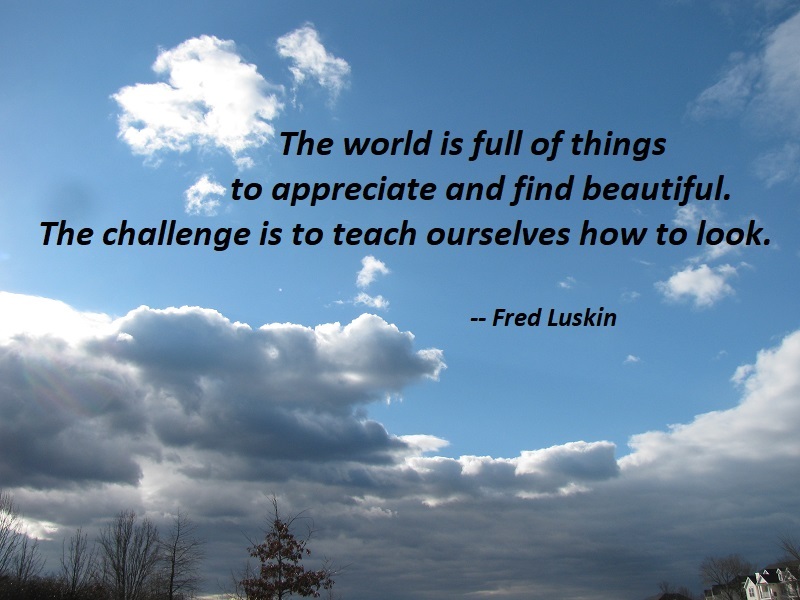 It’s the little bits of beauty around us that help to teach us to appreciate life. Take a look around, and I know you will see something of beauty. It may be a bird, a plant in a pot, a building, a child with a smile, or something in a window. There is always something of beauty around us. In seeing beauty around you, you will appreciate life more, and recognize more the beauty that is within yourself. Appreciating beauty helps you to slow down, and the more beauty you notice, the more beauty you will see. Much of the time we just don’t notice what is around us. 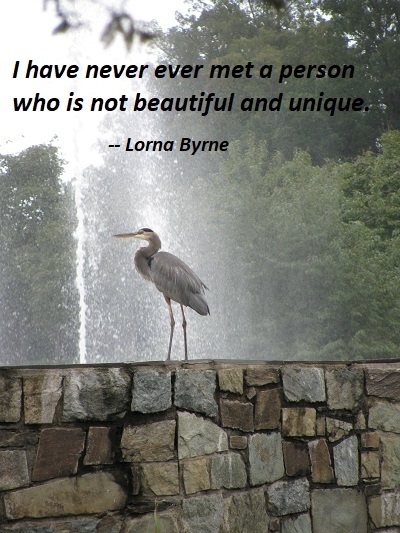 We are lost in our thoughts or fail to give any importance or value to the idea of seeing beauty.